Seventy-two percent of women have not received any treatment for menopausal symptoms, according to recent study conducted by Lake Research Partners for the Endocrine Society. Of those polled, 45 percent said they thought current available information was confusing and 41 percent weren’t sure what to trust. There are over 10 million menopause websites, many with misinformation about menopause, treatment options, tests, and strategies. How do we find reliable menopause information online so we can have a productive conversation with our health care providers? Different types of information are provided by a variety of websites: unbiased sites from scientific organizations, commercial sites with medically reviewed content, hospital sites, online health news, blogs and communities. My go-to site for the latest unbiased scientific information is Menopause.org, provided by the North American Menopause Society, a non-profit organization. According to a report from Pew Internet, 41 percent of web surfers are more comfortable reading about somebody else’s health experiences or medical issues online. I, too, am able to gain perspective from reading blogs and personal opinions. Healthline.com, a commercial website, has launched a Menopause Center, providing content that is objective. 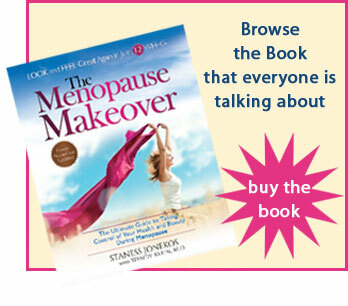 It is reviewed by experts and includes popular menopause bloggers as well. This site combines science with personal stories so the information is digestible and easy to find. Healthline.com has an advanced search technology that refers the reader to scientific material, thus saving time visiting individual websites and making it a one-stop informational resource for individuals. HealthyWomen.org, a nonprofit organization, has a long history of providing unbiased and accurate health information. The website contains health information that is original and reviewed by medical experts. The content is reflective of the advances in evidence-based health research. They, too, include personal stories and top-notch bloggers. Other reliable resources for menopause information are hospital websites. According to a recent U.S. News report, Cleveland Clinic, Johns Hopkins, Brigham and Women’s Hospital, Massachusetts General Hospital, and Mayo Clinic are in the top five ranked. Menopause is different for every woman. The experience is not “one size fits all,” and there is no simple recipe to manage menopause. Once we gather credible, reliable information, applying it can be frustrating. Not only are hormones fluctuating and mood swings occurring, each of us needs to respond to menopausal issues based on personal and family history and personal comfort level. An informed decision about menopause-related symptom relief also includes knowledge of the risks and benefits of other prescription therapies, complementary and alternative medicine (CAM) approaches, and lifestyle strategies, as well as awareness of the option to do nothing at all and let the symptoms take their natural course — which for most women means resolution over time. Being informed is a woman’s first step to managing menopause. If a website is selling a product or program that is promoted in the content, the material may be biased. When reading a blog or chatting in a community, remember the content is based on personal opinions and/or experiences. What works for one woman may not work for another. On any website, it is wise to read the “About Us” link so you know who is providing the information. We are all different. The internet is a rich resource for menopause inquiries. Be diligent in qualifying your material, so you can take control of your health during menopause and work closely with your health care provider. The Endocrine Society and The Hormone Health Network created a Menopause Map, an interactive tool. Menopause Map results can be used as a springboard for a conversation with your doctor. Users can print up their results and share it with their health care providers. 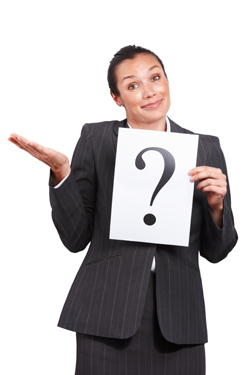 « Is Hormone Therapy Right for You?